We need to tell the stories of cats we see in our practices. And not just telling, but showing, too. The relationships we form with animals are something of a spiritual experience. The way they sense our emotions, or how we read their moods just by looking at their eyes, hint at an extraordinary connection. Despite our love of animals and pets, and their constant representation on websites and social media channels, I’ve found that veterinary practices rarely post about cats on social media and across their marketing efforts as a whole. When I consult with veterinary practices around the world, I comb through everything I see to get a holistic impression. This includes marketing materials in waiting rooms, the website, the Facebook page and brochures. I’ve noticed that kittens are sometimes used in picturesque settings — a photo of a basket of kittens in a sun-drenched field is oh, so realistic — but cats are mostly neglected. While this presents an issue, it also is an opportunity. To take a comprehensive look at the topic, let’s begin with impactful data directly from the American Association of Feline Practitioners. AAFP found that 50 percent of cat owners reported they didn’t seek to own a cat but instead a cat “found them.” Nearly 70 percent of those responding to the survey stated that they paid nothing for their cats. I believe that many cat owners can relate. One day you’re leaving food outside for an occasional visitor and soon enough you’ve bonded and are a proud cat owner. That being said, how do first-time cat owners learn about the best way to care for their new feline friend? Well, of course they turn to the internet. While this fact used to make me cringe a bit, considering the number of unvetted blogs and forums, I’m happy to report that an increasing number of online search results tends to endorse quality information that the majority of veterinarians would recommend. This is thrilling for somebody like me, who loves when proud pet owners have access to the information they need. This being said — I won’t call out any social media network by name except YouTube — the Internet is ripe with horrible advice on cat care. It’s up to us as veterinary professionals to represent all sorts of pets and to provide equal representation. This goal is also effective for marketing to more people and for showcasing our commitment to all the species we care for. I challenge you to become more proactive about sharing the stories of cats in your practice to ensure that they are properly represented. You can start off small by sharing a few photos or an anecdote. During my routine social media audits, a process that helps me quickly home in on the strengths and weaknesses of a social media strategy, I look to see the last time a practice shared content about a cat. You get the picture. Not only does such content become redundant but it underrepresents two groups: cats and cat owners. I’d like to see certain themes that show more interest in cats, like “Featured Feline Friday,” which gives practices the chance to regularly share something about cats that will resonate with their owners. 70 percent did not believe that cats regularly hide symptoms. Eighty-one percent of owners polled said their cats were in excellent health and were self-sufficient. Now we’re beginning to see that the underrepresentation also creates an environment where misinformation can easily spread and become the norm of what’s largely believed. A lot of this kind of misinformation comes from pet owners going to the wrong sources, like a pet store employee or local Facebook group, instead of a tried-and-true veterinary professional. AAFP also noted that “veterinarians estimate that 50 percent of cat owners consider a trip to the clinic to be stressful” versus 20 percent of dogs owners. Now we’ve got a scenario where cat owners don’t believe their pet hides illnesses and believe it hates going to the vet. Do we see a troubling trend emerging here? Yes. So how do we overcome it? What’s the best way to inform pet owners that cats hide illness and that, yes, your practice can provide care that truly accommodates the needs of their feline friend? We need to tell the stories of cats we see in our practices. And not just telling, but showing, too. These narratives are crucial to connecting to the hearts and minds of pet owners. Remember first and foremost that permission is required from a cat’s owner or caregiver before any information is shared. The consent must be written. Choose a cat you’ve seen recently at your practice. Secure written permission to share a story about the cat. Gather brief information, including: What illness was the cat brought in for? How did you help to discover the cat was ill? 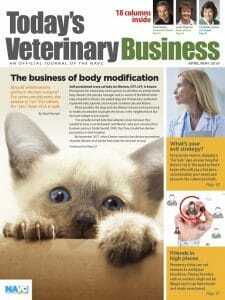 How did you treat the cat from a veterinary perspective? 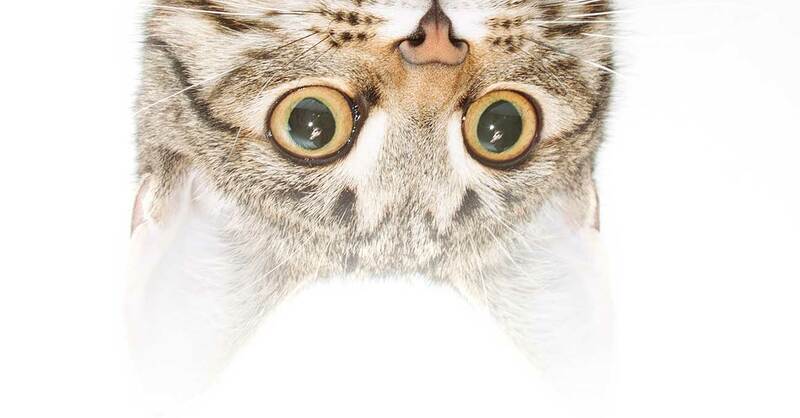 How is the cat doing today? “Gazpacho, a 4-year-old calico, came into All Animal Clinic, a Cat Friendly Practice, after her caregiver, Emily, noticed she had not been eating a lot lately and had started hissing and avoided petted. Dr. Gray carefully examined Gazpacho using feline-friendly handling and discovered she had severe dental issues. So, we worked with Emily to take care of Gazpacho’s painful mouth. While we had to do a few tooth extractions, we were also able to clean and do preventive treatments. We are happy to report that Gazpacho is feeling much better after a short recovery time. She is eating well again, and since she is no longer in pain, she is no longer hissing or avoiding petting. Why is the story so impactful? Again, look at the data. According to AAFP, 56 percent of clients reported they would bring their cat to the veterinarian more often if they knew the visit could prevent problems. The data show us that increased information, including storytelling and specific examples, likely would lead to increased engagement with cat owners. To take things even a step further, I recommend that practices consider becoming a Cat Friendly Certified Practice, which takes the commitment to delivering remarkable feline care to the next level. While I’m not a veterinarian, I know we can do more to create a better experience for cats. I also think it’s important, whether you become certified or not, to proactively share the things your practice does to make feline visits easier. This could mean using pheromone diffusers or sprays while explaining how they work and why they’re important. Then and only then can you show me the cat cuddled up and content inside a blanket. The same goes for sprinkling catnip on a blanket in the exam room. Explain to me that cats prefer a blanket over a cold, sterile table and that the catnip is the icing on the cake to enhance the experience. Do you use feline-friendly handing techniques or have a cat-friendly waiting area? Great, tell me more and show me pictures or a video. Without this type of content being shared regularly via social media and on your practice’s website, getting cats to come back to your clinic is a lost cause. But if you’re willing to engage in thoughtful ways and go the extra mile to care for beloved felines, well, they’ll beat a path to your door. Share your story and the rest will follow.